Inferior Vena Cava, or IVC, filters, were at an all-time high for use in 2010. However, since then, the filters have seen a steady decrease in use, primarily due to the fact that there is a safety warning related to their use and the risk of complications that was issued and remains in effect. The IVC filter is implanted in the body’s largest blood vessel, the inferior vena cava. The intent is to catch blood clots before they have a chance to reach the lungs or heart. However, a study following IVC trends from 2005 to 2014 showed a significant decline in the 36-year trend of implanting these filters in patients. The study was published in late 2017 in JAMA Internal Medicine. The reason for this decline may have something to do with a study also published in the same journal in 2010, one which showed there were high rates of complications in relation to the implantation of these filters and also led to a safety communication issued by the Food and Drug Administration, the FDA, the same year. Various issues were discussed in relation to these filters, including device migration and/or detachment, perforation of the veins and organs and also fracture of the device itself. 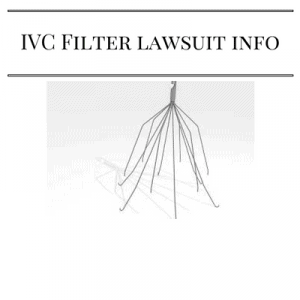 IVC filters were initially designed as permanent implants. However, newer models were designed with the intention of retrieval after a certain period of time. These filters were not retrieved, leaving them at higher risk of migration and also of fracturing within the patient’s body. A new safety alert was issued in 2014 by the FDA, and it addressed this situation where patients were not having the temporary filters removed. The alert stated that patients could avoid potential health issues by having the filter removed roughly 29 to 54 days after implantation. For those who did not get to the doctor during this period, it was important to arrange for removal before the seven-month mark, as at that point fracturing risk increased drastically. For individuals who have severe back or abdominal pain, IVC thrombosis could be an issue. This is caused by unretrieved IVC filters and can lead to more serious medical issues. At this point, a debate is occurring among those in the medical field. The filters are arguably the best treatment for blood clots. However, with the current rate of risk, some medical professionals advocate for finding another way to treat the condition until the usefulness greatly outweighs said risk. Various implanted medical devices, including pacemakers, artificial knee or hip replacements, stents, or IVC filters, can be defective. For individuals dealing with a defective device, can proceed with legal action if the device causes an injury. The device can be defective due to the design, the manufacturing or the marketing. Regardless, the company that manufactured the product has a duty to the end of care for its customers. For those who are dealing with a medical device, it helps to know who can recall said device. The first step is the Food and Drug Administration, or FDA, who are in charge of overseeing medical device manufacturers. When a device is defective to the point where removal or correction is required, the FDA can initiate a recall. Corrections can be completed where the device is sold. For example, a device that needs a software upgrade can be addressed at the physician’s office. Removal is necessary in cases like hip replacements that have a design defect and have to be removed from the patients who had them put in through a surgical procedure. The medical device manufacturer and distributor can also initiate recalls. If they initiate the recall, they notify the FDA and the FDA then evaluates the strategy to handle the issue and whether the problem violates laws set forth by the administration. There are different ways to stay current on recalls and changes to protocol regarding implanted medical devices. The FDA maintains a recall page with information on safety alerts, market withdrawals and other information related to medications available in today’s marketplace. Email notifications and recall alerts are available, as are alerts via Twitter and the FDA’s handle, @US_FDA. The FDA also offers safety podcasts, which are available for users to subscribe to and gain up-to-the-minute information regarding new recalls, safety information about drugs and other issues. Individuals dealing with pain and or discomfort as a result of an implanted medical device can check with their doctor during a visit to gain medical perspective on the issue. They can also check with the FDA. For those hoping to pursue compensation for injuries, it is helpful to contact an attorney that specializes in cases regarding defective medical devices. Legal counsel like McGowan, Hood & Felder, LLC., in South Carolina are well-versed in the legalities of pursuing compensation for the injury related to a defective medical device that was implanted. They can help clients determine the best path to follow when they are dealing with pain and injury related to such a device. Contacting a lawyer is a good first step in the process to pursue compensation for pain and suffering, particularly if the issue also required additional surgeries to remove or replace the medical device. For devices that are already involved in litigation and are still on the market, individuals who have had these same devices implanted should get in touch with a lawyer to find out their best approach to moving forward.